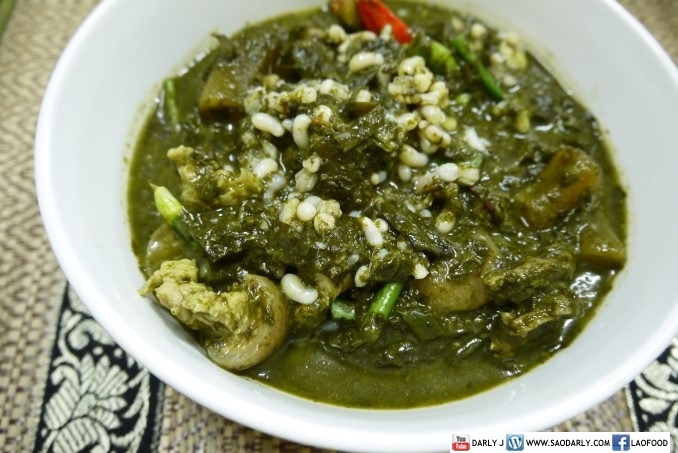 Kaeng Kee Lek ແກງຂີ້ເຫຼັກ ( แกงขี้เหล็ก ) with Khai Mod Daeng ໄຂ່ມົດແດງ, and buffalo skin ຫນັງຄວາຍ for dinner in Vientiane, Laos. 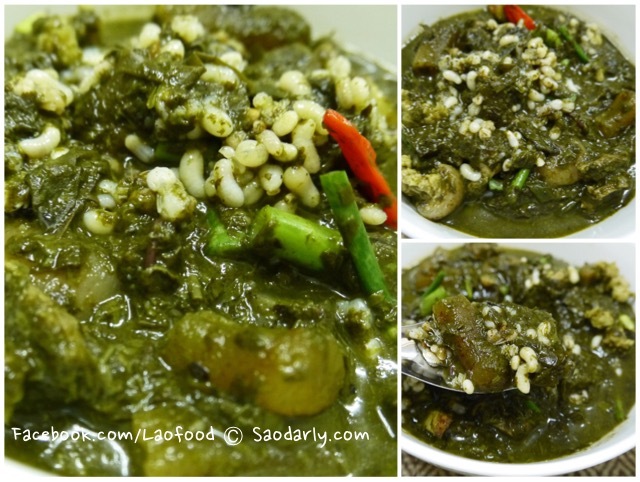 The English name for the dish is Cassia Leaf and Ant Egg Curry. My aunt bought the cassia leaves that have already been boiled and ready to be used in cooking. 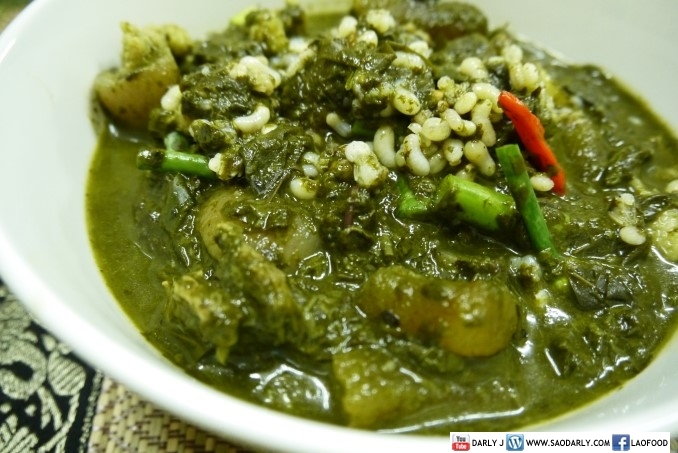 She boiled the cassia leaves once just to make sure the bitter taste is not too strong before making the stew. Since Aunt Phone is fond of eating pork, she made the stew with pork meat, pork rib, and buffalo skin. My other aunt bought just a handful of Khai Mod Daeng (Red Ant Egg) for the finishing touch to the Cassia Leave Stew. 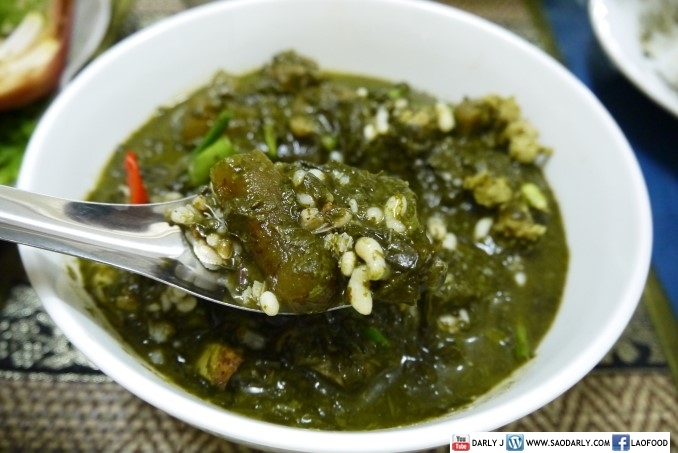 I tried a few bites of the cassia leaf curry with freshly steamed sticky rice for the sake of food adventure.